A movie theatre is just a place where you go to watch a movie, and you probably don’t even think about it all that much. The following movie theatres are super awesome however, and are well worth checking out if you get the opportunity to do so. Located in Athens, Cine Thisio is an outdoor movie theatre with a difference. In addition to watching the latest blockbusters on a huge screen, you also get to see some of the most amazing views over the Acropolis. 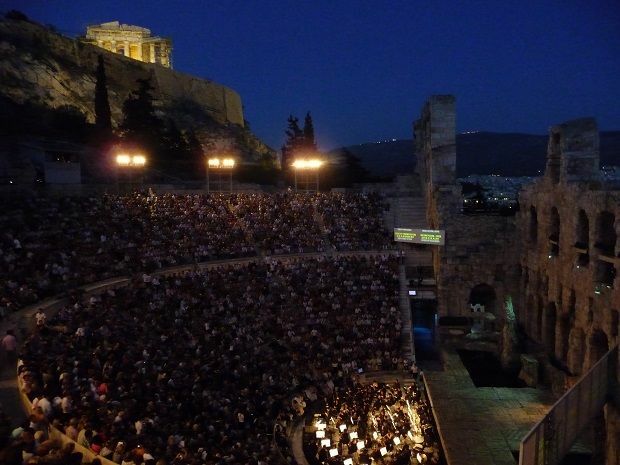 This is actually the oldest outdoor theatre in Greece, but it’s also the best. If you find yourself in Seoul in South Korea and you want something fun to do, why not visit 4DX? 3D movies are awesome, but you can definitely take it a step further with this theatre. 4DX introduces the first venue in the world that has amazing movies that include movement, water/wind effects, and even scent. These type of movies claim to connect you with the different characters in a way that has never been done before, allowing you to see everything that is unfolding from a brand new perspective. This is often referred to as a movie palace, so that’s got to be a good sign right? The interior of this theatre which opened way back in 1922, is like a cathedral. It’s absolutely stunning, and has a great attention to detail throughout. This is actually the largest theatre in Northern Europe – it is a really cool dome building. The shape gives it an awesome sound, so you can be rest assured that you don’t miss a bit of your favourite movies. It’s a really striking theatre, and also promises an amazing watching experience.